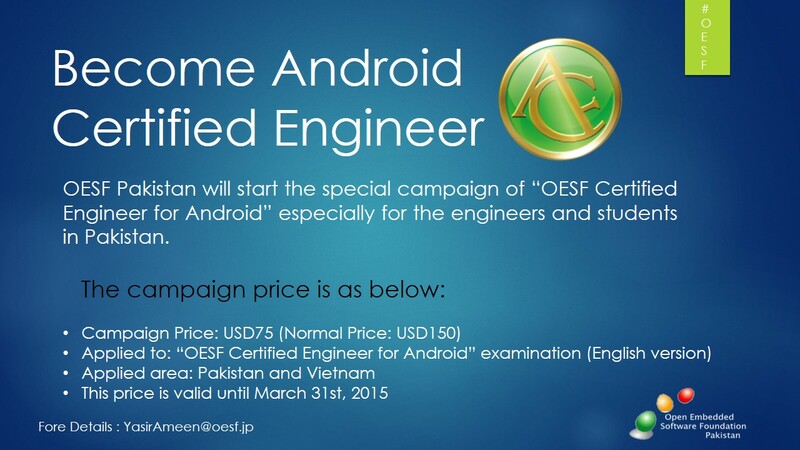 OESF will start the special campaign of “OESF Certified Engineer for Android” especially for the engineers and students in Pakistan. If you live in Pakistan, you can take ACE test by the discounted price until the end of March, 2015. Since we see lots of engineers and students in Pakistan are trying to get the certification, we hope they can get the certification in this time. Also please visit OESF Pakistan Facebook page.